A lot of words have been tumbled over social media pages, blogs and magazines about Jan Ewoud Vos’ luxurious and singular Puredistance Master Perfumes, dreamt up in 2002 and launched in 2008 with the appearance of Puredistance 1 created by Firmenich master perfumer Annie Buzantian who was awarded Perfumer of the Year in 2015 by The Fragrance Foundation. 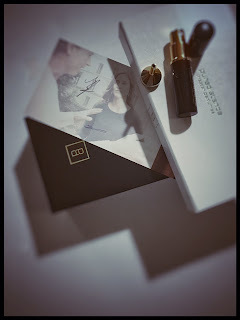 Since that auspicious and striking debut Jan and his carefully assembled coterie of talented perfumers have collaborated on a further five uniquely streamlined and glossy compositions: Antonia and Opardu also by Annie Buzantian, Black and White by Antoine Lie and M by Roja Dove. Now in 2016 we have the heavily trailed atmospheric and oddly melancholic Sheiduna, the first overtly oriental perfume from Puredistance created with creatrice extraordinaire Cécile Zarokian, one of the most talented perfumers working in contemporary olfaction today. It’s no secret I’m a huge admirer of her work as anyone who follows my writing will know and my Foxy collection boasts compositions like the sticky addictive aesthetics of Tango for Masque Milano and Patchouliful, her glowing portrait of one of perfumery’s iconic materials for one of my favourite houses Laboratorio Olfattivo. Cécile had already created Kashnoir for Robert Drago’s beautiful and underrated line, a scent of tremendous vibrancy, with notes of powdered wood, white flowers and a delicious balsamic base that draws out an expertly handled vanilla and heliotrope duet. But Patchouliful demonstrated you could take a familiar material and just completely dazzle the senses with the result, showing us things we knew we loved - spiced clovey-leathered warmth but married to a frangipani and iris vellum that made you rethink how patchouli should smell on skin. Nerotic, her new composition for Laboratorio Olfattivo has just launched and I’m really looking forward to adding it to my collection. Foxy's MDCI Silk Road Trio.. 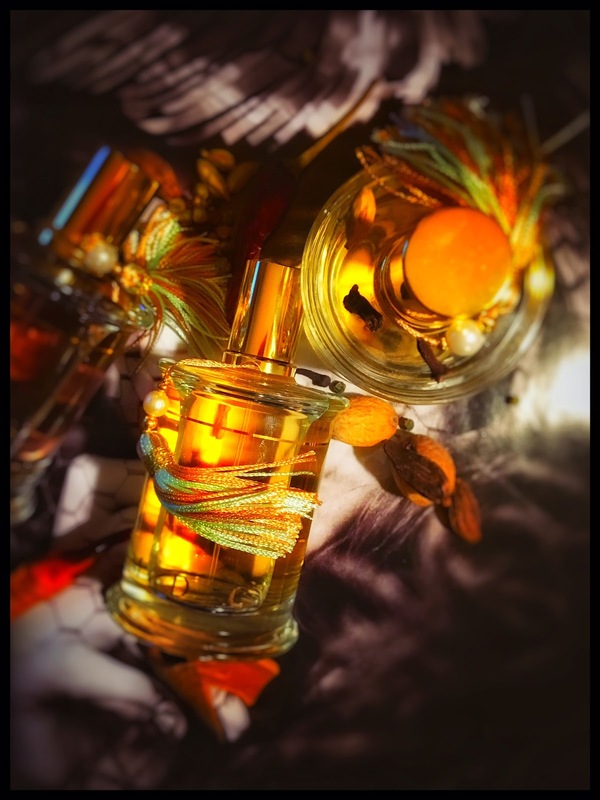 I think Les Indes Galantes, Les Fêtes Persanes and Cio-Cio San the Silk Road inspired triptych for Parfums MDCI, are among her finest work to date. There is an exceptional earlier MDCI work called La Nuit Andalouse from 2013 that Cécile created for Claude Marchal, around a tremulous gardenia note that demands attention like a quiet yet insistent lover. Working with gardenia can be fraught. 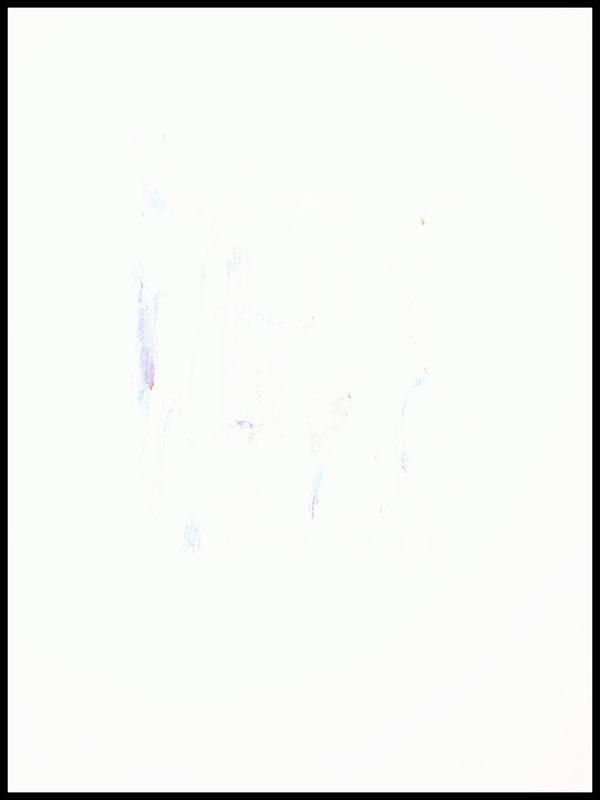 Too little, the effect is pointless and the delicacy drowns amid its surrounding aromatic arrangements; too much and the composition is a wall of white noise, with barely a flicker of anything else. Abstraction and creative suggestion are fine, but the materials must be of the most exquisite quality and provenance. La Nuit Andalouse uses two keynotes alongside the gardenia to empower its reality and in some ways it’s mythology. Violet suggests a powdered sweet soul and orange blossom references the Andalucían heritage Cécile wraps over the roses, ylang, musks and soft woody fade. The Silk Road trilogy fragrances are all linked by music, opera to be more precise. Cio-Cio San by Puccini’s tragic Madama Butterfly and Les Indes Galantes and Les Fêtes Persanes by Jean-Philippe Rameau’s ballet-héroique with songs. I reviewed Cio-Cio San for the Foxy blog and for Cafleurebon, followed by the other two for Cafleurebon as well. They were elegant and inspiring perfumes to write on, the marriage of music, oriental perfumery and operatic drama. Cécile’s skilful interpretation of the briefs for Claude’s atmospheric house created miniature worlds that transport the mind. 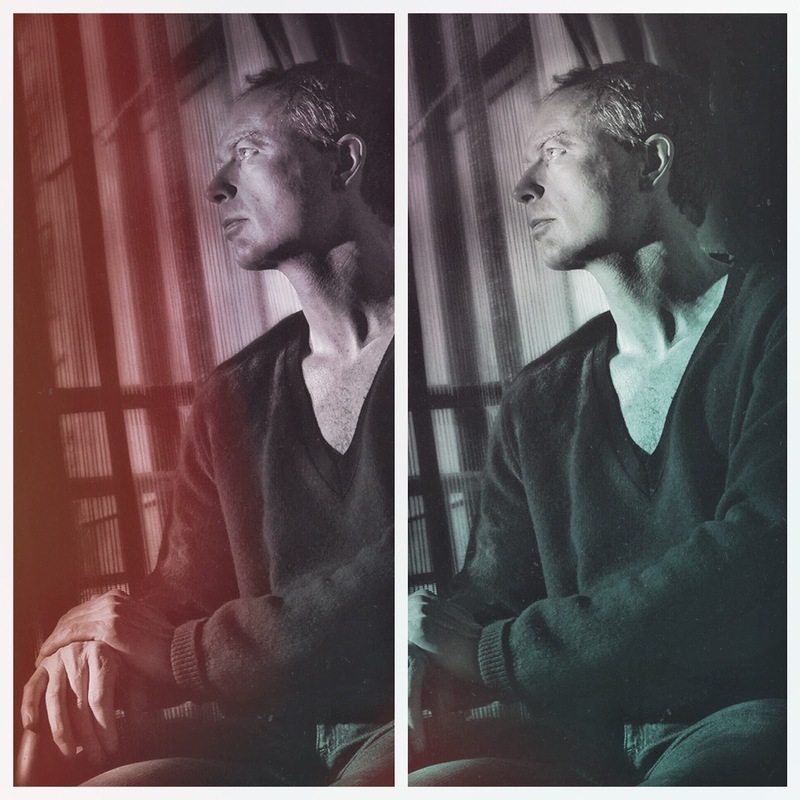 I wear this triptych over and over, losing myself in the journeys and luxurious shelter of the formulae. When I was writing my piece on Cécile’s wise reworking of Jacques Fath’s Green Water and the creation of Bel Ambre, Vers le Sud and Curacao Bay with Panouge I was aware she working with Puredistance and was intrigued to see how her style of perfumery would marry to the controlled haute-luxe of Jan Ewoud Vos’ house. Along with Luca Maffei, Delphine Thierry, Amélie Bourgeois, Quentin Bisch, Julien Rasquinet, Cristiano Canali, Anne-Sophie Behaghel, Dora Baghdriche, Thomas Fontaine, Marie Salamagne and Amandine Marie she is part of a gloriously talented generation of young perfumers unfettered and untroubled by the hitherto punitively perceived IFRA regulations. They have trained with and within their recommendations and annual adjustments, creating innovative work that meets the challenges set down by restrictions or guidelines depending on how you view them. 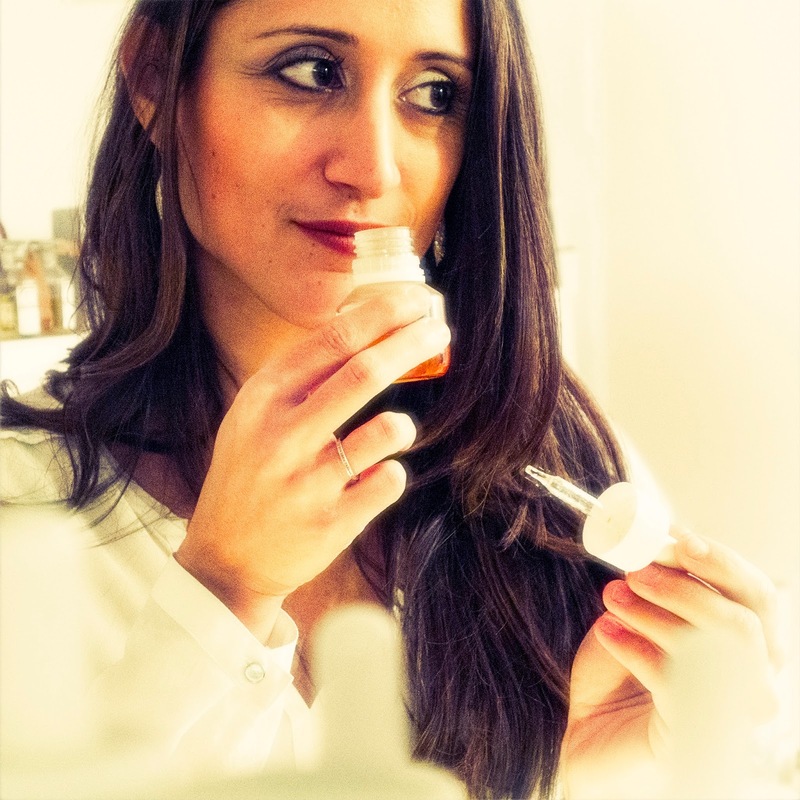 Their influence across global niche, luxury and mainstream perfumery is hugely important. 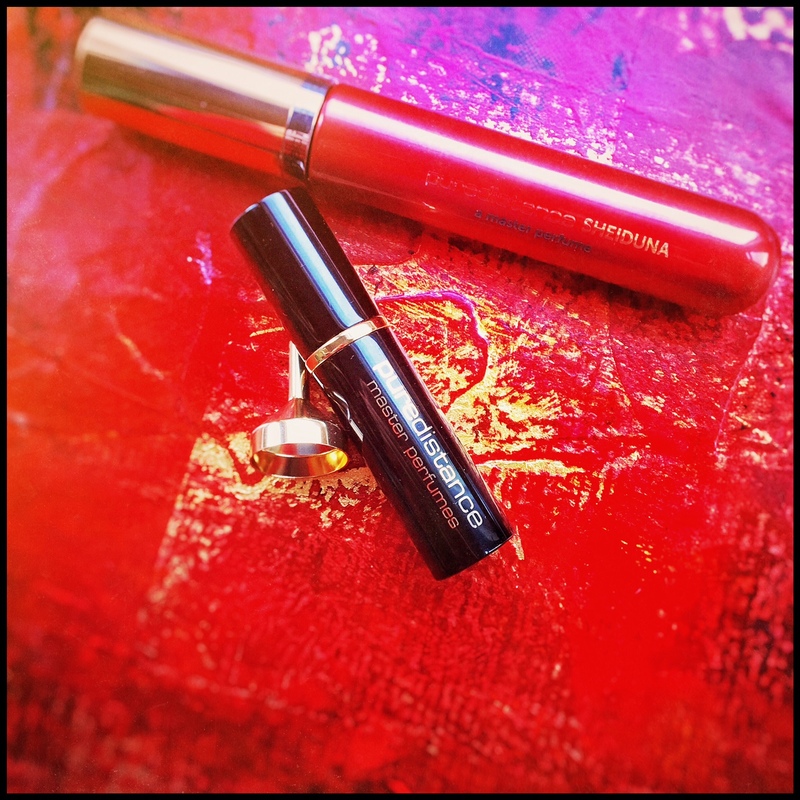 I have sampled Puredistance a few times over the years and will be honest; it is a brand that didn’t catch my senses to any great degree, however I always take time to revisit and re-evaluate perfumes when I write. Also illness in recent years has rewired my perceptions and altered my reactions to a lot of work; perfumes and styles I loved, I can no longer stomach and others I found challenging or perhaps dismissed as not me, I now find rather emotional and sublime. A Paris-based friend sent me decants of M, he’s a leather fiend and included Black, White and Puredistance 1. Puredistance is a strange brand, a tad schizophrenic in its melange of influences and messages, but undeniably luxurious and openly ambitious in terms of its creative and olfactive beckoning. Jan and his gifted team have worked with perception and dedication to create a perfume house that smells opulent and privately sensual, which is no mean feat in this day and age of gaudy excessive BUY ME offerings. Jan collaborated with London-based Roja Dove on the purring, automotive leather M and French animal-synth master Antoine Lie on the galactic opaque Black and its creamy spacious White counterpart. I rather like the rich aloofness of Puredistance, the slightly disdainful chilly jet set feel layered into the ruthless marketing of the name, perfumes and direction. There is something a little uneasy and unfocussed in the marketing as a whole; the differing campaigns don’t quite pull together, creating dissonance in the overall ambiance of an otherwise ambitious and persuasive mix. It has a distinctly European feel, with touches of Micellef, The Different Company, Tizania Terenzi and Jovoy. There is I think an aspiration to sit alongside the modern aromatic iconography of Mona di Orio but Puredistance doesn’t quite nail the same plush and understated savoir-faire. To be fair, hardly anyone does. BUT and it’s a big but, there is no denying the bravura quality and sleek sinuous elegance of some of the perfumes that have appeared under the Puredistance name. I’m not the biggest Roja Dove fan, the gaudiness and relentless clarion call to certain markets is wearisome to say the least. Consultant, historian and scent designer perhaps and talented one at that but perfumer? Anyway, that aside, M is an elegantly smoky and seductive leather chypré, inspired by the luxurious pelty cocoon of a classic Aston Martin. It is an excellent leather; Roja rarely creates outside of his own line and M is a scent of exclusive indulgence with a tangy animalic bite amid the ambered spices and swirl of moss, cistus, exquisite rose (It is a note utilised extremely well throughout his own line) and illuminated citric-tinted vanilla. 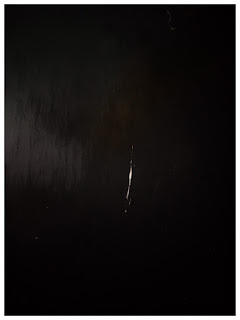 In keeping with the void of advertised noir and darkness, there are no materials listed for the composition of Antoine Lie’s bleak high-gloss hybrid Black. It is undoubtedly a sleek and striking composition, marrying Lie’s perfumed enfant terrible persona with a more cinematic haute olfactive slant. It’s like looking at a black canvas in a dimly lit room, thinking at first it is simply a square of black paint hanging alone in a room. However the longer you look at it as the shadows settle in the room and your eyes adjust to the gloom the black reveals hidden layers, striations, whorls, tiny gaps and shadows. No one does this olfactive black within black like Lie. 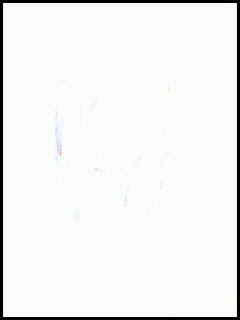 White is the angelic mirror, perfumed wings of white musks catching odd fractured light. It isn’t quite as interesting; although wearing the two together was fascinating, like experiencing a time lapse night and day roll over skin, shadow, light and fade. 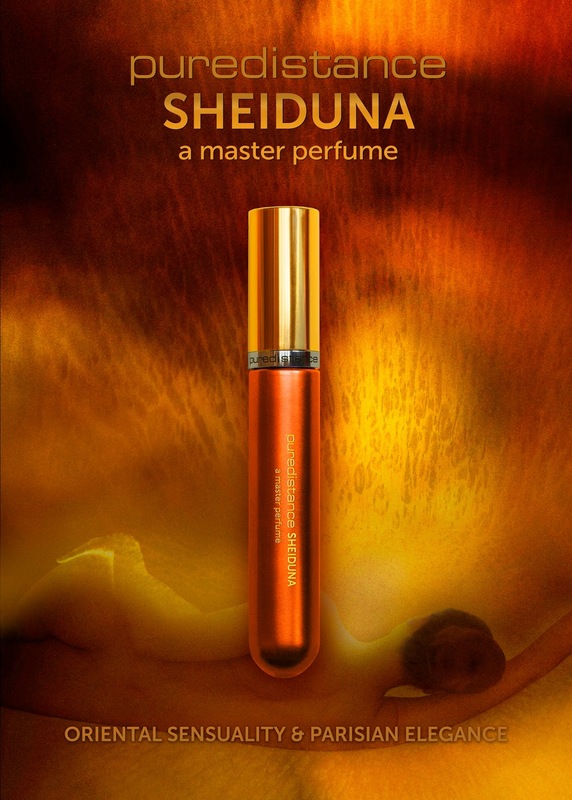 Now we have Sheiduna, the first overtly classically oriental perfume from Puredistance, the name a bizarre amalgam of she, sheikha and dune, words that coalesced, echoing the cadence of the word seduction for Jan Ewoud Vos. The collaborative process is something Puredistance are keen to emphasise throughout their social media and PR material; even the bottles are accompanied by jointly signed postcards of the duo. The provenance and process matters a LOT to Puredistance, not so much to me, they will live and die by their juice. Often a tightly controlled collaborative process, while seemingly calm, can hinder creativity. Cécile is a remarkable and adaptive perfumer however; capable of working in a multitude of ways and working with Jan seems to have been a wonderfully fertile and rewarding experience. The warmth of the partnership glows out of the PR materials and associated social media launch material. Sheiduna is being marketed in tones of burnished gold and glowing sunset reds to reflect the mood of undulating desert dunes under a glowering sun, in turn echoing the sensuous curves of the eternally worshipped female form. This fantasy of a desert dream is elegant and easy to sell but doesn’t feel quite right to the Foxy senses; Sheiduna is much more complex than a simple linear twilight narrative. There is darkness, void and shadow at play amid the exquisitely manipulated haute qualité materials that Cécile has used. 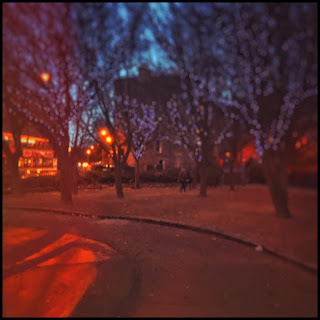 As my Scottish city of stone and ghosts plunges past autumn into the depths of winter, Christmas looms in all its overwhelming shopping overkill and illuminating brittle intransience. Having worked for in retail for so long, Christmas has long since lost any of its allure, reduced purely to monetary transactions and the human obsession with material possession and one-upmanship. I now find this time of the year rather distressing and desolate. However, one of the oddly neglected facets of Christmas is the scent of its collected elements and how many of us smell the season as we grow up and away from our families in different parts of the world. I was immediately beguiled by the distinctive olfactive shadows of December, of dark Christmas, the spaces in-between the joy and frivolity of this most divisive of seasons. The tradition aromatic tropes of Western Christmas celebrations are very sensual and symbolic: spices such as cinnamon, clove and ginger mingling with fumy incense, myrrh, poignant rooms filling with the genuflection of pine trees, the vanilla and creamy float of Christmas desserts, and reassuring glow and bouquet of a door-pinned hand-crafted wreath. Most of all that instantly nostalgic inhalation of freshly punctured and disrobed tangerines and clementines, those seemingly most winter of citrus fruits. Wherever you are from and however you celebrate and of course many people don’t for religious or personal reasons, this period of the year will have uniquely different olfactive tones. It is the only time of the year I eat panettone and the scent of sweet, chewy bread, studded with shards of dried citrus and sticky rum soaked raisins always triggers Christmas thoughts. The peaty, throaty inhalation of Islay malts was something very particular to my cold Scottish Christmas days, a dram swirled around a jewel-cut snifter or set aflame over the home-made boozy earth coloured pudding. When I visited Brittany to spend Christmas with my partner’s family, the Christmas meal was traditionally started with a towering salver of fresh oysters, glistening on a bed of seaweed. This saline scent, potent with iodine and a rush of boat and harbour mixed with the huge shout of piled lemons and crayfish was a very different array of holiday aromas from what I was used to, but just different, brighter, fresher. An antidote in many ways to the heavier style of repasts we are traditionally conditioned to consuming in the UK. For me Sheiduna is quite removed from the sensual oriental fantasy of dunes and body-form enticement much as I appreciate its purpose and reason. Of course a launch needs a marketing visualisation and it is clear from glimpses of Jan’s notes and mood collages to Cécile that this was very much how Sheiduna was perceived as the creation of the scent progressed. But inevitably when you send your olfactive child out into the critical world, it will be received in different ways. Such is the way of scent. You can suggest mood and ambience but at the end of the day, it is up to the wearer to interpret the notes in their own way and for their skin to assimilate the composition and radiate their own aromatic weather. As soon as Sheiduna hit my skin, it fractured into a kaleidoscopic assemblage of effects with textured and refined impact; I could feel the quality of materials and chromatics of olfaction, the low key way the notes and chords had been combined to produce a scent of emotive suggestion. As with some of the other Puredistance perfumes, it takes a couple of wearings to fully appreciate the way the work has been created. They are well-honed blends. Sheiduna is a concentrated extrait, made for Puredistance by Stephid, a company based near Paris. It prides itself on using quality ingredients and extensive testing, which can take up to three months, ensuring luxury, high end and perfectly IFRA compliant formulae. Cécile is not a perfumer to rest on her laurels or repeat her herself, which is remarkable considering how much work she is doing just now. A signature style is not the same as repetition. Having a certain trademark impression or ambience to your work is indication of personality and the ability to mould materials to your will. Certain ingredients, flowers, spices, aromamolecules might become leitmotifs but it is the instantaneous feel of a scent, its settling and glorious rise to the senses and emotional brain that really marks out a truly talented creator. In her work to date Cécile has written out on the vellum of our collective skins a signature of delicate and sophisticated yearning; fusing frissons of yesteryear with the courageous sensuality of modernity. One of the things I admire so much about Sheiduna is the strange disparity between the deluxe offering of the perfume and for me the eccentric tableau that unfolds as the notes develop. I just find it so hard to avoid the Christmas aromas, the blasts of spicy sparkling citrus at the top, laced with an incredible smoky vanilla that reeks of myriad brulée desserts. The incense resinoid, myrrh and patchouli lend that incalculable air of drifting churches, millennial altars, sacrifice, mourning and celebration. Sleek verdigris vetiver and odiferous geranium add a wistful essence of housebound trees. Cécile has utilised that gorgeous ambergris infusion she used so alluringly in Green Water and Curacao Bay for Fath’s Originals. It has a very particular blue waxen whispered aroma, gently saline, but also sweet and kindly floral with a subtle wash of pale animal. As well as imparting such a unique olfactive spoor, the infusion slows down the fade of the composition. This matters with Orientals of this quality, you want the materials to mingle, fuse and drift off the skin like so much scented smoke. When you use materials with such vivid realities you create a scent of lavish hue where the odours meld to present a tableau of persuasive intelligence. 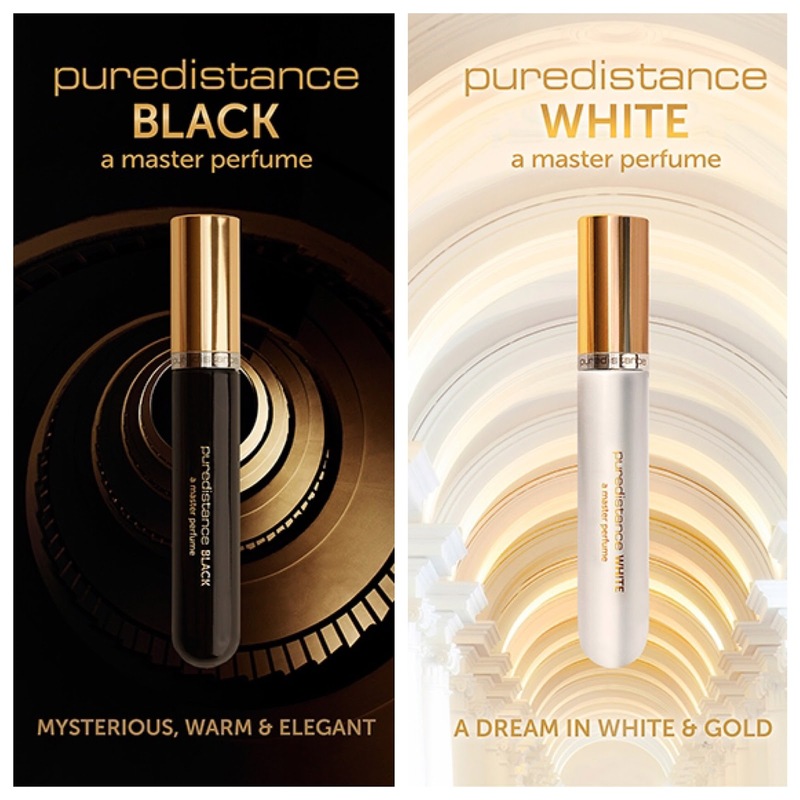 The more time you spend with Puredistance fragrances away from the suggested marketing images and glossy PR launch stuff, you more you realise how unique and interesting the perfumes are. I worry that the slight preoccupation with creating the definitive luxury atmosphere to the house perhaps overshadows the juice a little. But it’s a minor quibble. I am aware that my reading and biography of Sheiduna is perhaps unconventional and even controversial. I am not stating it is simply a Christmas scent; it isn’t, that would imply something more room-scenty, sweet, cinnamon-soaked and perhaps injected with a sickly artificial accord of mulled red wine and brandy. 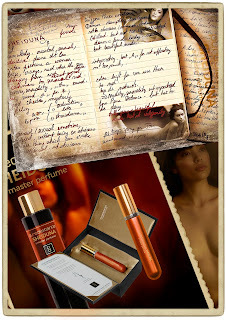 However my senses reacted to it in unexpected way; reading the notes, press info and following the launch info from Esxence had created in my mind an expectation of a golden, burnished not exactly standard (it is Cécile after all) perfume with polished oriental markers such as a dominant amber note, warm woods such as sandalwood mixed with exotic resins and tactile balms. There is an associative expectation to this beloved family and very adroitly Jan and Cécile have cleverly met and sidestepped these presumptions. It is unexpectedly bravura formulation. Cécile has studied the oriental form and obviously worked with Jan and his words and vision for Sheiduna. Then she has carefully deconstructed and reformed her version of an oriental, taking some of the key elements, mostly the resinous, balsamic pieces and the all important amber and woven some more unexpected and exceptionally high quality notions into the framework. The key is quality. 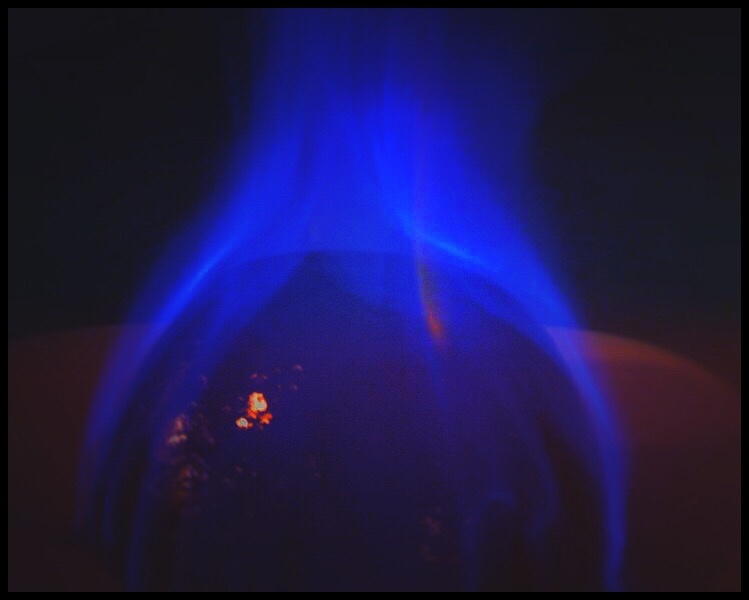 The ambergris infusion has been married to beautifully calibrated measurements of molecules such as amberXtreme and ambroxan. Over these the benzoin, tonka absolute and luscious vanilla absolute are exalted into beautiful focus by the relatively odd addition of those really bright and vivid notes of tangerine and lemon. For me it is these two relatively innocuous materials that explode the full mood of Sheiduna, like fire kissing gunpowder. The elegant verisimilitude of the duo work in a gustatory way, mixing with the patisserie sweetness of creamy vanilla and chewy tonka and cut through the ‘traditional’ assembly of resins, smoke and woods. It is this unorthodox assembly of materials, effects and careful subversion of tradition of form that paints a unique tableau for me of a shattered Christmas, one with humans removed, just our detritus and influences remaining. Each time I wear Sheiduna, I have a very specific set of images rising up of cluttered rooms lit by flickering Christmas lights; my mind roams through these rooms like a hungry camera, devouring shadows, discarded dreams and family love. The scent track is omnipresent, filling all corners, stroking walls, licking glasses and lifting carpets. It smells of ambered, woody isolation with a whispered ghost of hot, mulled liqueur, clove oranges and fading trees. Sheiduna’s eccentric combination of notes and clever use of the oriental structure is the haunted pieces of what is left unsaid at Christmas, of what is left behind as the rooms are emptied and the pent-up excitement, gluttonous present-tearing and glittering bonhomie peaks for yet another year. The sudden puncture of this strange, forced season can be sudden and overwhelming. I find the aftermath fascinating, the suddenly redundant paraphernalia and the awareness of a whole year to turn before it comes again. So much preparation for such a huge explosive burst of sensual cacophony. Sheiduna is all this, warm empty rooms lit by blinking trees, strings of tangled lights and candles, sinuous flames reaching dangerously past gaudy tinsel and scattered cards. Voices in the street mix with sudden pops of broken glass. Inside, all is silence and flickering aurous shadows, a scent of peeled fruit, skins curled like burnished metal by the garnet embers of dying fire. The air is oranges and spices, wreathed in the haunting ecclesiastical fumes of frankincense and myrrh. Visitors may have bought drifts of classic perfumes, Shalimar and Chanel No 5, Coco Mademoiselle, a pungent burst of Aromatics Elixir with its love me/hate mix of cigarette and hairspray chypré insistence. Mixed with the embers of fine food, incense and sweet desserts, chairs and cushions imprinted with family tensions, alcohol loosening bitter tongues. Incense burned to mask the slow cooking of seasonal birds and hams. But Sheiduna haunts this vulpine tableau like a beautiful rogue relation, dazzling the air from rooms, leaving her sparkling traces over everything. I think the more you wear this impressive creation from Cécile and Jan, the more you appreciate the skill needed to subvert and play with the conventions of the oriental format. The classical warm, ambered, vanilla-anchored form is actually a vanishing thing, smothered now by the demand for oud-rich, leather-lashed compositions. Everything has its place and of course tastes shift and change but I grew up in the sumptuous shadow of these gilded formulae, YSL’s Opium, Estée Lauder’s rival Cinnabar, Patou’s Joy, a favourite of my late aunt, my beloved rose-shattered Nahéma by Guérlain, Obsession by Calvin Klein that I asphyxiated student libraries with and the heart-breaking Nuit de Noël extract by Caron that I had in the exquisite jewel-like shagreen flacon until someone stole it at a party. For years I just kept the box as it retained the ghostly traces of earthy forested oakmoss and a threadbare damask rose. Puredistance is a house on the cusp of much wider exposure, prices aside and they are high, theoretically reflecting the materials used and the manufacturing of their sleek flacons etc. Sheiduna I feel is the most elegant and perfected of their compositions to date. Black was pretty stunning in its daring collision of niche void and Antoine Lie’s adaptation of his own plastic-fantastic style with Jan’s plush euro vision but it lacked a certain border and bite. Annie Buzantian’s Puredistance 1 was the template, the creative paradigm that set a high standard for things to come. Despite the use of different perfumers, there is a certain olfactive motif to the collection, something akin to the smell of new luxury cars or elusive couture bags, an indefinable sense of haute olfaction. For all of the lavish house banter about materials and process, the glittering global launches and jet set nature of this hitherto relatively low-key house, there is a burgeoning sense of ambition and artistic vision. They have just announced the launch of a very exclusive new scent called Warszawa, created once more in collaboration with Antoine Lie, which will only be available at Quality Missala in Warsaw until 1 November 2017 then it will be globally launched. 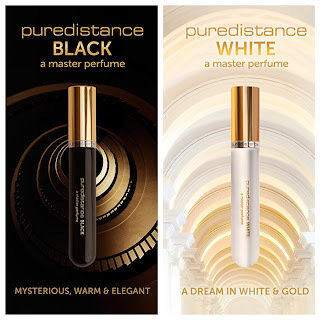 I strongly suggest keeping an eye or nose on Puredistance, I suspect each new launch will reveal new facets about the house and allow them to work with a more diverse collection of perfumers. If you can find the Puredistance perfumes, sample them and see what you think, you will find an intensely luxurious, elegantly focused line, made by Jan and his fiercely dedicated team in collaboration with an intriguing and carefully commissioned family of perfumers. For now I will indulge in this beautifully arranged perfume as it conjures up such a sensual and contradictory array of emotions and olfactive images. A plush and luxurious oriental that invokes an eerie, shadow-washed vignette of December’s divisive, garish and obsessively observed feast day. You will all have differing reactions to Sheiduna, the notes and accords will register and transmute in innumerable ways. Mine was a dark telling of Christmas days, reflecting perhaps my own damaged perceptions of this crazy, shiny behemoth of a celebration. So maybe I’m bitter but I will smell wondrous in this work of startling luxe. Disclosure: I received a sample of Sheiduna from Puredistance, kindly organised originally by MC at Cafleurebon. All opinions my own.